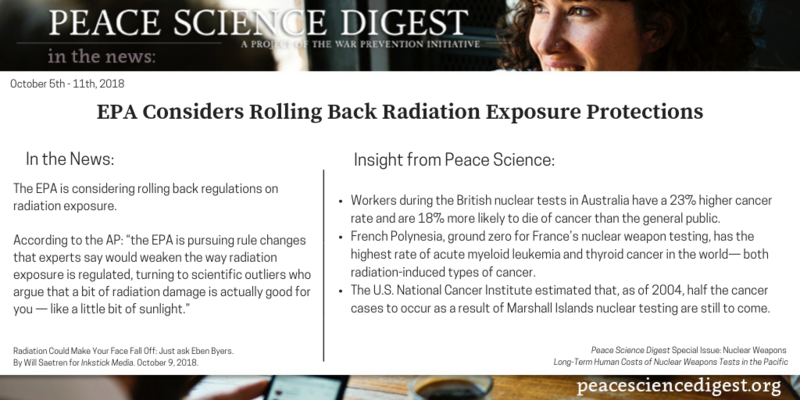 The EPA is considering rolling back regulations on radiation exposure. This is a horrible idea, just ask the victims of nuclear weapons testing in the Pacific. “Radiation Could Make Your Face Fall Off: Just ask Eben Byers” By Will Saetren for Inkstick Media. October 9, 2018.